What Is Cat7a Network Cabling? Ring and Ping offers Cat7a network cabling for businesses that require performance beyond 10/100BASE-T and even Gigabit specs. where speed and bandwidth are absolutely critical. Cat7a network cabling is the ultimate in “future-proof” cabling solutions. Cat7a is a great investment in the “future-proofing” of your business. With Cat7a systems, there are two types of connector options. The first is the GG45, which is backward compatible with RJ45 connectors by use of a switch within the jack. This switch changes the pole layout from the RJ45 eight contacts in a line to four pairs of contacts at the corners. This makes a Cat7A installation compatible with existing hardware so it can be reused. The GG45 is also recommended by the ISO as the preferred connector for data center installations. The other connector type option is TERA, which is not backward compatible with RJ45 and has contacts arranged in pairs at each corner of the connector. While this is different than existing wiring options, the advantage is that the pairs can be used individually for different applications, meaning multiple applications can be supported by one cable. This can have a tremendous cost benefit, since one cable can support 100Mb Ethernet, phone, and video on separate wires. Cat7a is a great investment in the “future-proofing” of your business. Since it allows for cable sharing with simultaneous support of multiple applications in a single cable administered through a single outlet, Cat7a is a great choice for a smarter, greener business. If you think Cat7a cabling is the right choice for your business, call Ring and Ping at (877) 841-9240 , or contact us online. 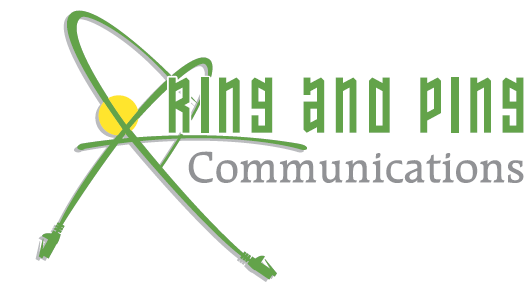 Ring and Ping is about more than running cable. We are here to advise you and help select the best, most cost-effective communications infrastructure for your business.